MDU Geek: Senior Housing: Is iPad the Right Web & Email Solution for 55+? Senior Housing: Is iPad the Right Web & Email Solution for 55+? The iPad is everywhere … everywhere you turn, newspaper, television and websites and the official announcement of iPhone 4 took place last week as well. Spending a lot of time in airports and seeing the recent increase in road warriors toting the iPad for personal use, I’ve been searching for a senior user that is carrying one on an airplane. * When asked if she would buy an iPhone, she said that her Motorola RAZR worked just fine. There was no feature that she needed to have “upgraded” with a new phone. * When asked about writing letters, spreadsheets, etc., she said she didn’t know what Microsoft Office was … she prefers to handwrite letters and notes. * She wanted to buy an iPad when it first came out but bought the 3G version as it was recommended by the guys at the Apple store Genius Bar based upon how she was going to use the device. When asked about common complaints such as lack of USB ports and printing, she said she didn’t own a digital camera and that her grandchildren and kids emailed her pictures. She did say that she wished she could print out her boarding pass for Southwest though. Mary’s profile is simple and I would hardly classify her as ‘techie’ nor your typical early adopter but for someone shopping for a simple solution that met her needs at a price point she was comfortable with. Will seniors migrate to the iPad? Over time I believe that the price point and the fact that the device is truly a personal computing device rather than a laptop (business), more seniors will migrate to the iPad versus purchasing a netbook. Look for a rumored price drop around Christmas to spur the iPad as great gift from kids or grand kids or as an upgrade like the profile of Mary above. Is this the silver bullet for silver tech? No, but the elegance of its design and its price point make it a compelling device for the 55+ crowd when compared to other computing options in the market today. What do you think? 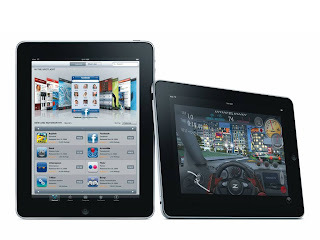 What are the opportunities for senior housing to leverage the iPad? Let us know what you think in the comments. This is a guest post by George Patton that was originally published on Senior Housing News. George is the Publisher & Editor of SHN.